A person is killed by a gun every 17 minutes in America. Atlanta now has the same per capita gun murder rate as all of South Africa. 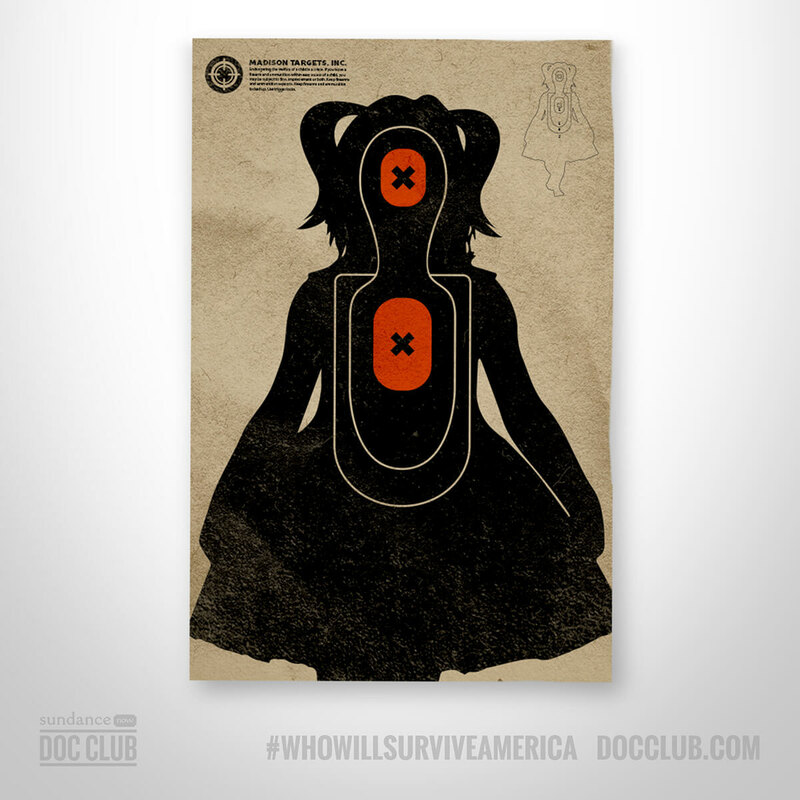 Polls show that the majority of Americans find this unacceptable and support stricter gun laws. Yet tragedy after tragedy, nothing happens. 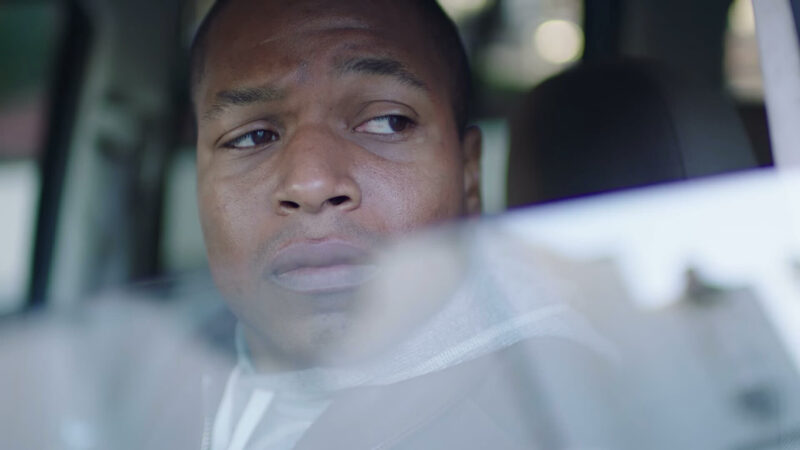 In “Who Will Survive America”, filmmaker Sheldon Candis examines the process of legally purchasing a gun by buying one himself. 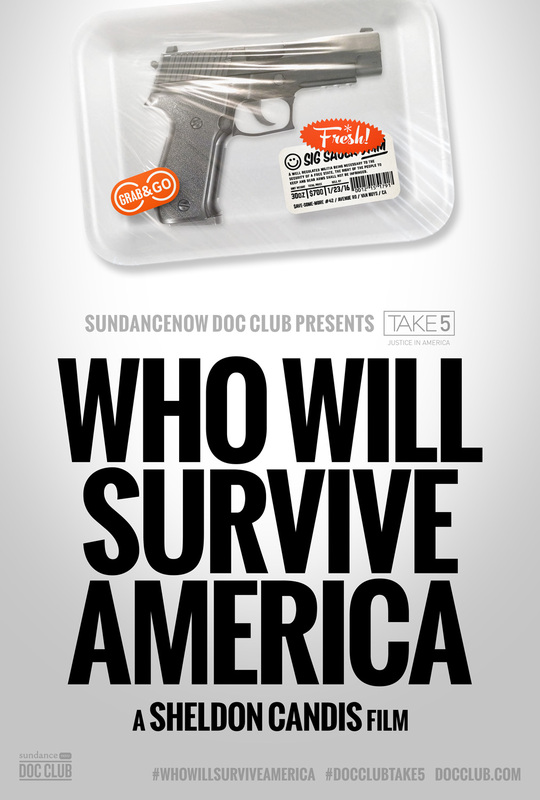 Chargefield designed the titles for Who Will Survive America, as well as motion graphics throughout and end credits. 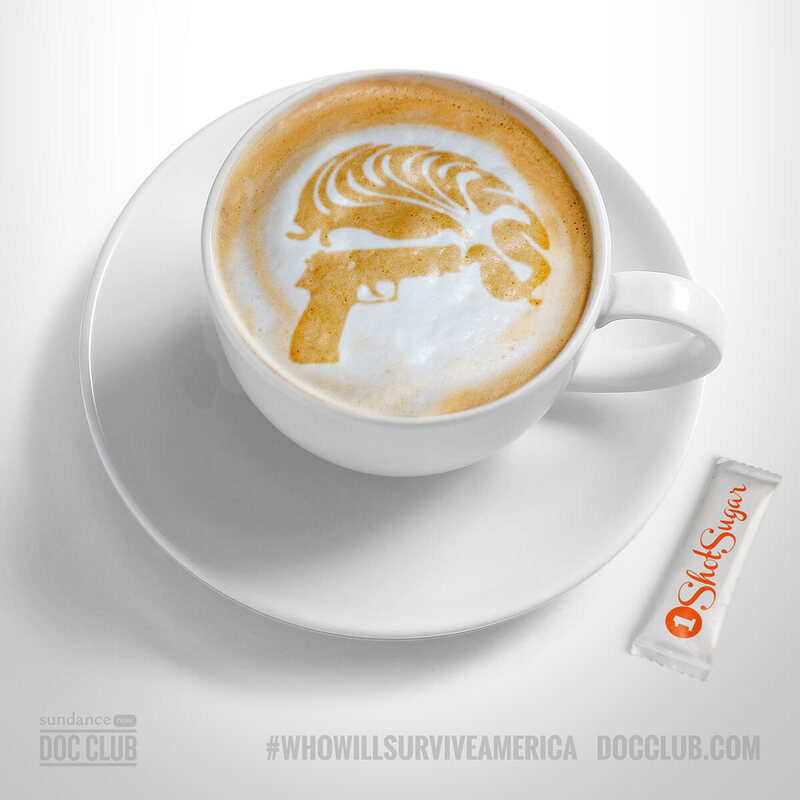 To promote the film, various assets to be shared on social media were created, juxtaposing gun related imagery with places they can be found. The neon graphic features an upside down U.S. flag, which is an official signal of dire distress in instances of extreme danger to life or property. In the gif it’s combined with gun-themed neon signage, representing the high volume of commercial sales and ease of acquisition of guns in the United States.